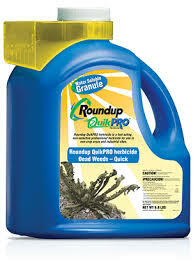 Herbicides – Apgar Sales Co. Inc.
Roundup Quik Pro – The best non-selective weed control on the market. This easy to use jug comes with built in measuring cup. Comes in two packages the above 6.8# jug and a convienent 5 x 1.5 ounce packets. 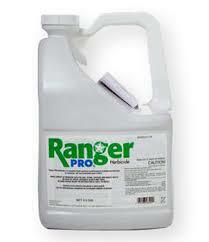 Ranger Pro – For those of you who prefer using a liquid round up pro then Ranger Pro is your answer. Comes in 2.5 gallon jugs. 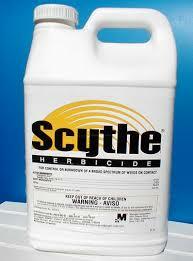 Scythe – Add this to your Ranger Pro mixture and your customer will know you have been there within hours. This Product helps translocate the Round-up faster to the root zone and is a topical burn down as well. Bottom line your weeds appear controlled in a couple of hours. 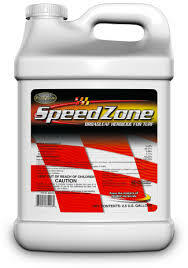 SpeedZone – With four powerful active ingredients speedzone provides fast and dependable control of broadleaf weeds in turf. It delivers visual results in as little as 24 hours and total control within 7-14 days. 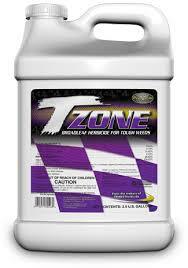 T-Zone – The T stands for Tough to control weeds. 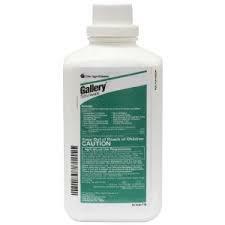 If you need to get rid of violets, ground ivy and other difficult to control weeds this is the product of choice. 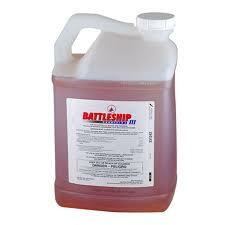 Battleship III – If you are looking for a 2-4D free weed control but have to get rid of tough weeds like clover, violets and others this restricted use product is the choice among the licensed professional. 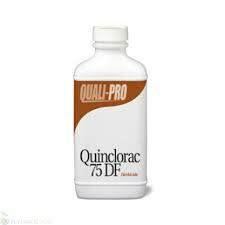 Quinclorac 75 – Dependable Post emergent control of crabgrass and broadleaf weeds as well. Commonly known as Drive. Comes in both dry formulation as well as liquid. 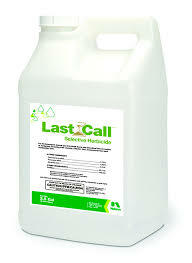 Last Call – A premium selective herbicide that controls crabgrass and weeds when other products fail. However it also controls Japanese Stilt Grass an evasive species that is becoming a serious problem in the northeast. 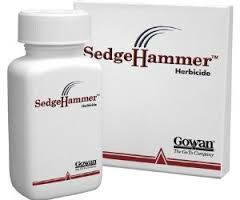 Sedgehammer – The best product on the market to control Nutsedge in residential and commecrial turf. 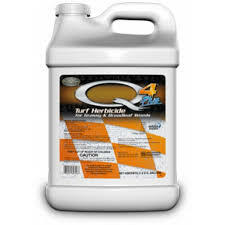 Q4 Turf Herbicide – This unique one of a kind product allows you to control cragbrass, broadleaf weeds as well as nutsedge all with one application. This has quickly become the summer go-to product for landscape professionals. 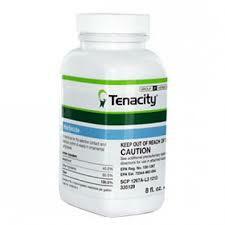 Tenacity – A speciality product that although controls about 46 different weed species, its main claim to fame is its ability to rid lawns of unwanted bentgrass as well as poa annua ( annual bluegrass). 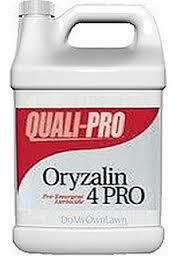 Oryzalin Pro – Commonly known as Surflan, This pre-emergent herbicide is used early spring to provide months of control of annual grasses and selected weeds in landscape beds and other mulched areas. 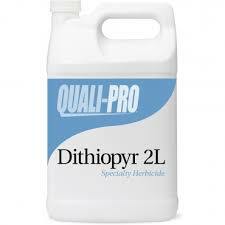 Dithiopyr – Commonly know as Dimension, This early pre and post emergent control of crabgrass as well as 40 different grassy and broadleaf weeds. To be applied on residential turf as well as landcape and ornamental beds. 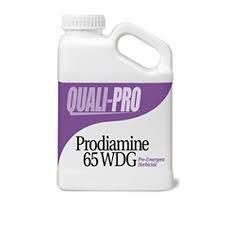 Prodiamine – Commonly know as Barricade, A pre- emergent crabgrass and broadleaf weed control to be used on turf as well as ornamental and landscaped beds. Gallery – If you are trying to rid your customer of all the weeds that end up in their ornamental beds then add this to aersnal to help control over 90 different species. This pre-emergent last 6-8 months. 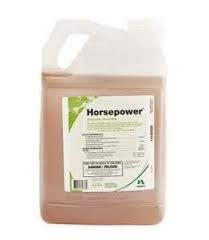 Horsepower – A three way selective non 2-4D weed control. 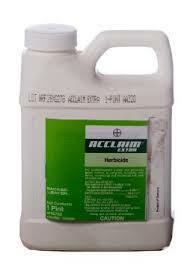 Provides control of a wide range of broadleaf weeds. 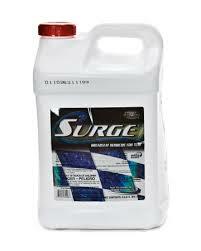 Surge – Can’t spray weeds in the summer? Now you can Surge is specifically designed to control weeds when the tempature rises. If you dont see what you need to help control your weed problem feel free to let us know. We may have it in stock or we will get it for you when you need it.